Lop Buri has been a town of cultural diversity and continuity for more than 3,000 years since the pre-historic period. It is a place where a lot of historical evidence has been discovered. 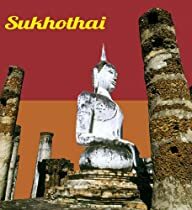 During the Dvaravati period (the 6th – 11th century), Lop Buri had been under the control of the Mons and Khmers until the 14th century when the Thai possessed more power in this land. During the reign of King U Thong, the first king of Ayutthaya, Lop Buri was the Mueang Luk Luang – the prince’s town. King U Thong appointed Phra Ramesuan, his eldest son to rule Lop Buri in 1350. When King U Thong passed away in 1369, the prince had to give the throne to his uncle who ascended to the throne with the royal name of “Phra Borom Rachathirat I”. The prince still governed Lop Buri afterwards. In 1388, Phra Borom Rachathirat I passed away and Phra Ramesuan went to the throne in Ayutthaya for the second time. Phuket is Thailand’s largest island, approximately the size of Singapore. Phuket nestles in balmy Andaman Sea waters on Thailand’s Indian Ocean coastline, 862 kilometers south of Bangkok. Phuket is blessed with magnificent coves and bays, powdery, palm-fringed white beaches, sparkling island-dotted seas, sincere hospitable people, superb accommodation and seafood, delightful turn-of-the-century Sino-Portuguese architecture, numerous sporting and leisure opportunities, and a lush tropical landscape-all of which have been combined to create a delightful ambiance for truly memorable holidays. During my first visit to Thailand, I tried Thai massage in a salon in Phuket, close to my hotel. It was something entirely new to me and, even though the hour I spent there was marred by the serious case of sunstroke caused by walking from the hotel to the massage parlour and back, I realized I wanted to repeat the experience. 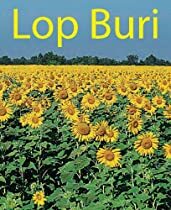 A few days later, I met Mrs. Po on the Koh Phangan Island, a fifty-year old woman who became my friend in a matter of days and whom I visited three times a week to get a massage. In fact, it all started with Mrs. Po, and in my later visits to Thailand I sought out her massage obsessively. For me, Thai massage had become Mrs. Po’s massage. The hours spent in her home weren’t just about the massage, though. They were about a ritual that put me in an incredibile state of ease: I started my day with a latte, then strolled to her house, had a chat, she would ask about my family, about my husband and our nine-month old boy, then she would start the massage. It never took just one hour. What with the chatting and the ginger tea afterwards, it was an hour and a half before I left. I never had a chance to return to Koh Phangan again, but Mrs. Po’s massage determined me to travel all across Thailand. I went from Koh Lipe to Chiang Mai, from Koh Chang to Samui, from Koh Bulone to Koh Mak, but everywhere I felt like there was something missing and I knew I had to keep travelling on. It took me some time to understand that Mrs. Po’s massage was also an inner state – a lust for life, for new things, a kind of relaxation that I had never experienced before. Once I realized that, I gradually shed my idealized obsession, I opened myself to the experiences and the people I met, I started to understand Thai massage and the differences between the various styles, I read about traditional Thai medicine and eventually, when I felt ready, I joined the Thai massage school in Bangkok. This time I was searching for Thai massage, not for Mrs. Po’s massage. But you know what? The techniques there were a lot like hers. That’s how I remembered that on a wall in her home she had a Thai massage diploma from the school in Bangkok. 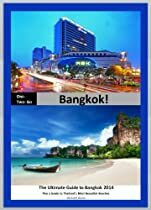 Welcome to the newest Sightseeing guide for Bangkok plus 100 of the best Beaches in Thailand! This extensive book (>320 pages) has been written and designed exclusively for Kindle, opening up the opportunity not only to use established techniques like printed maps but also to add multimedia content, helpful functionality like online maps for easier navigation, and videos for each Point of Interest. 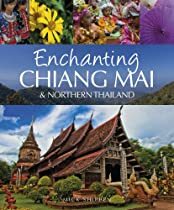 We give you practical tips for a trip to Bangkok and the nearby Beaches, from purchasing your flight ticket, to choosing the right Hotel, the best ways to get around, and a lot of useful tips on what to see and do..
To give you more insight we have included descriptions of all the important malls, landmarks and Beaches. We have picked the major landmarks, the best shopping malls and much more to make your stay what it should be: An Unforgettable Holiday full of “wow” moments and satisfaction! Useful descriptions of each site of interest; e.g. opening times / entrance fee/ how to get there. Short videos and professional photographs to give you a first impression of many landmarks. Click-able web links on most attractions for further information. Online maps help you to navigate to the next point of interest. a quick overview on what places are ‘must go’. We hire only local authors who know the city they live in very well! This also allows us to offer our guides at a very competitive price. Enjoy your preparations and have a great trip to Bangkok! East Asia doing everything she shouldn’t. over India, Sri Lanka, and Thailand. train wreck all she has to do is face in the right direction and keep walking.